For desktop PC fans, 2015 could only be described as awesome. We saw not just one, but two Intel CPUs for enthusiasts. 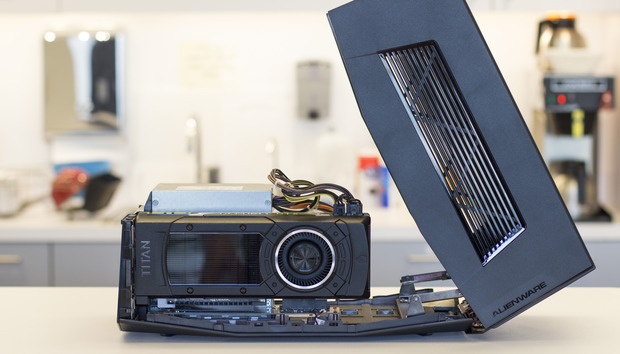 Nvidia released its most powerful Titan X card and then pushed it overboard with the GeForce GTX 980 Ti months later, just to spoil AMD’s Fury X launch party. Throw in stupidly fast NVMe drives, shattering the 64GB barrier with consumer CPUs, and you’d think nothing could top 2015. The truth is, 2016 is shaping up to be an even bigger year for PC gamers and enthusiasts. Next year we’ll see a huge leap in GPU performance and power, possibly 10-core CPUs, the return of AMD, and more. Read on for all the hot hardware we’re looking forward to. GPU’s have been built on a 28nm process for three freaking years! Sure, Intel’s been enjoying its 14nm Tri-gate process since late 2014, but everyone without multi-billion dollar fabs has been slumming it with the moldy old 28nm process since, well, forever. To give you an idea of how damned long it’s been, consider that the GeForce GTX 680 introduced in 2012 was built on basically the same 28nm process as this year’s GeForce GTX 980 ti. That’s three generations of GPUs, all on the same process (four generations, if you include the original GeForce GTX 980). As the kids say: That’s. Just. Sad. The situation has been no different for AMD, either, which has been building both its GPUs and CPUs on the same old process. That’s all expected to change in 2016, when it seems everyone and their dog will move to smaller, more efficient fabs at last. Not only will they get smaller, but they’ll also have the FinFET technology that’s analogous to Intel’s Tri-gate transistors. FinFETs are gates built in three dimensions to aid in more efficient control of signals in the chip. The upshot is we should see huge improvements in power efficiency and performance in non-Intel GPUs and CPUs. It’s a good bet Nvidia’s Pascal will be built in one of these smaller, more efficient fabs. We wouldn’t be surprised to see AMD GPUs and CPUs make the move, too. 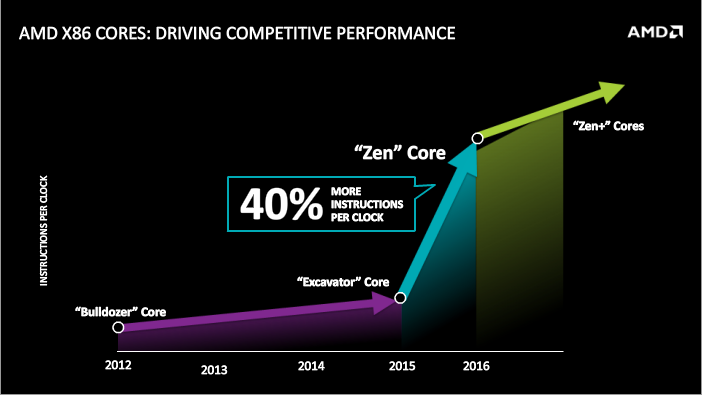 AMD’s Zen is the company’s pivot back to performance computing. And yes, that arrow climbing nearly straight up is a good thing. When AMD walked away from performance CPUs, it didn’t mutter a Terminator “I’ll be back,” but the company’s next CPU could do just that. Code-named Zen, it’s a re-think of AMD’s performance desktop chips, and many believe it’ll put the company back a position to compete with Intel. The company expects Zen to offer a 40-percent increase in the number of instructions per clock it can execute. Zen moves away from AMD’s Clustered Multi-Threading design, which bore winners including the 8-core FX CPUs that were barely competitive with Intel’s 4-core chips. Will Zen be faster than Intel’s chips? That’s to be determined, but the fact that AMD is at least willing to try to beat Intel is good for all. The bad news is the timing. The first Zen chips aren’t actually expected until the latter part of the year, which gives Intel time to polish its lineup. AMD already has a response called “Zen+” in the works, though, so grab the popcorn. What AMD’s been really great at is giving you a lot of performance value for your dollar. If it sticks to that strategy, this fight could be good. There are strong rumors that Intel will ship Broadwell-E with 10 cores in 2016. Next year we’ll likely see Intel likely introduce at least two high-end chips. The first is an unexpected surprise—you know, like your baby sister or brother. Code-named Kaby Lake, it’s born mostly out of necessity. Intel’s pattern the last few years has been to build two CPUs per process technology before moving on. For example, Intel built its Ivy Bridge and Haswell chips on a 22nm process. But with confidence problems in its 10nm process, Intel will do three on the 14nm process: Broadwell, Skylake, and Kaby Lake. Rumors indicate Kaby Lake will have more USB ports, more PCIe lanes, and even support for next-generation Intel Optane storage. It's too early to have more solid information, but we do have Intel’s official confirmation that it will make Kaby Lake. You can also chalk rumors of Broadwell-E in the iffy column, but this one is very predictable. In fact, Intel has repeated this same pattern three times now with Sandy Bridge-E, Ivy Bridge-E and Haswell-E. The formula is to take the company’s Xeon chips, switch off a couple of features, and sell them to consumers who just want more cores. The question isn’t if Broadwell-E is coming next year, but how many cores Intel will put in the CPUs. Rumors indicate Intel is mulling offering a 10-core version. That may sound like it’s too good to be true, but there is precedence. With Haswell-E in 2014, Intel sold its first consumer 8-core chip and even offered a 6-core version at a surprisingly reasonable price. Intel could do the same with a 10-core Broadwell-E, especially if the company is fearful of real competition from AMD’s Zen. Intel’s generational performance gains have been fairly unremarkable, so the boost simply from having two more cores would be welcome. The only thing that could throw this all for a loop are reports that Intel is planning to introduce Skylake-E next year, which would mean it's scrubbing Broadwell-E. That makes no sense to us, but that’s the problem with rumors. Intel says it will ship its crazy-fast Optane in 2016 and for consumer PCs too! Two Intel storage advances also stand out for 2016. The first is Intel/Micron’s NAND technology, which promises “1,000 times” the switch performance of today’s fastest SSDs. The second is it’s supposed to hit your PC next year. Yes, next year. It's not clear whether that means Optane in standard SSD shapes and sizes, or the more radical Optane plugged into a DDR4 memory slot, but Intel hasn’t backed off from its goal so far. 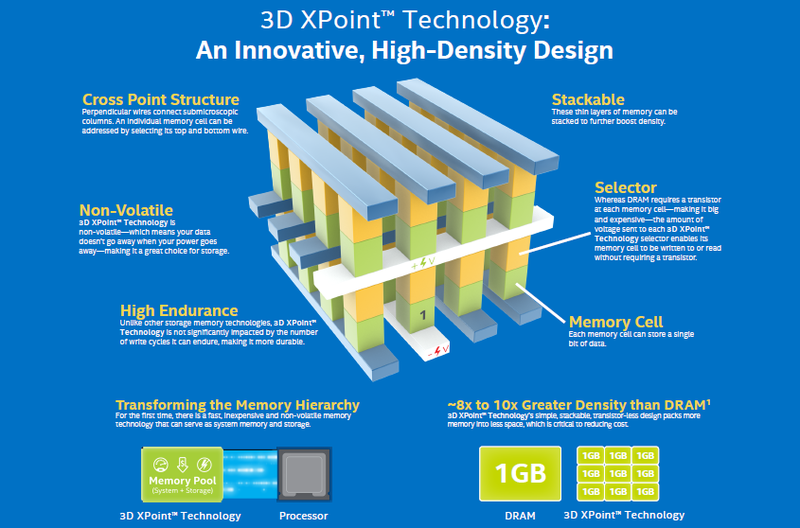 If it actually happens, Optane could be as big a game-changer as the first SSDs. Alienware’s Amplifier may have paved the way for external graphics in 2016. You can think of 2016 as the year external graphics officially becomes a “thing.” We’ve seen external graphics before, in computers such as Alienware’s Amplifier, and there have been hacked-in methods. But as Thunderbolt 3 connectivity continues to roll out, expect to see more standardized external graphics everywhere. One battle that may have to be fought, though, is whether we’ll settle on Thunderbolt 3 or the competing Oculink. 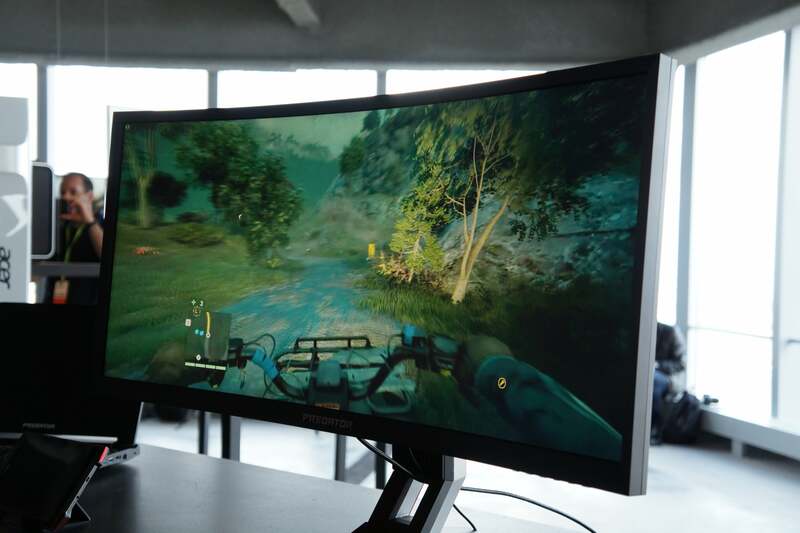 Next year we’ll see even more monitors supporting Nvidia’s G-sync and AMD’s FreeSync. We'd hoped the sync wars between Nvidia’s G-Sync and AMD’s FreeSync would be over by now—but no, it continues unabated for 2016. To sum it up: Both AMD and Nvidia offer proprietary methods to smooth out gaming, which force consumers to match G-Sync with GeForce and FreeSync with Radeon. This year, AMD will notch up the pressure by enabling FreeSync support on HDMI ports, and Nvidia will see more monitors with its latest G-Sync version. It’s a good bet more monitors will support FreeSync, but more gamers will own GeForce cards. That’s what you call a standoff. All we need is for Intel to wade in with a third variation, and we can recreate the ending of Reservoir Dogs. Can’t we all get along?